Hey folks, Jesse here. 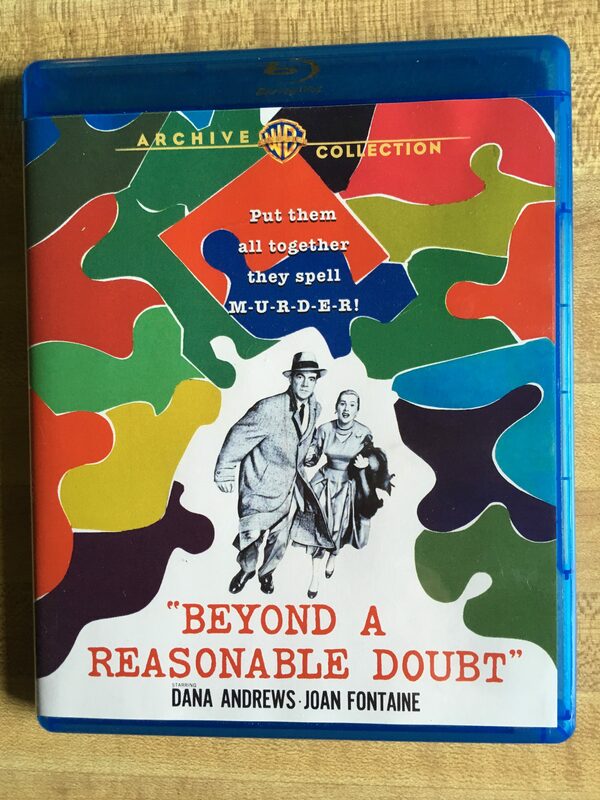 I recently watched a movie straight from the Warner Archives called Beyond a Reasonable Doubt. 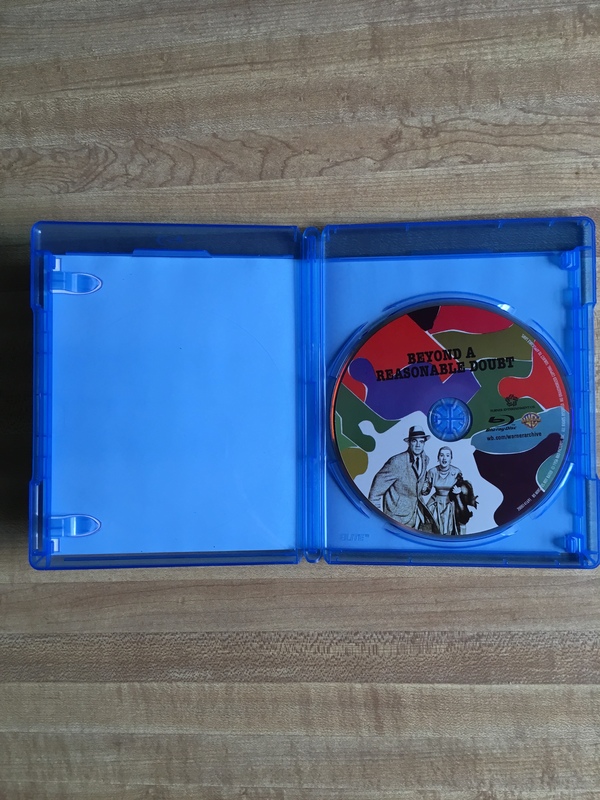 Warner Archive releases are classic Warner Bros movies they put out on Blu-ray. I had the immense pleasure of checking this one out. Fritz Lang directed several movies and many consider him one of the best director/producers from the early days of cinema. His best-known movie may be Metropolis from 1927. I remember seeing Metropolis a few years ago and realizing how influential it remains. It was one of the original sci-fi stories about dystopian future and I still see stories like this in Hollywood. Make sure to check it out when you get a chance. Wait…am I reviewing Metropolis? Oh yeah, Beyond a Reasonable Doubt. Let’s talk about that one. 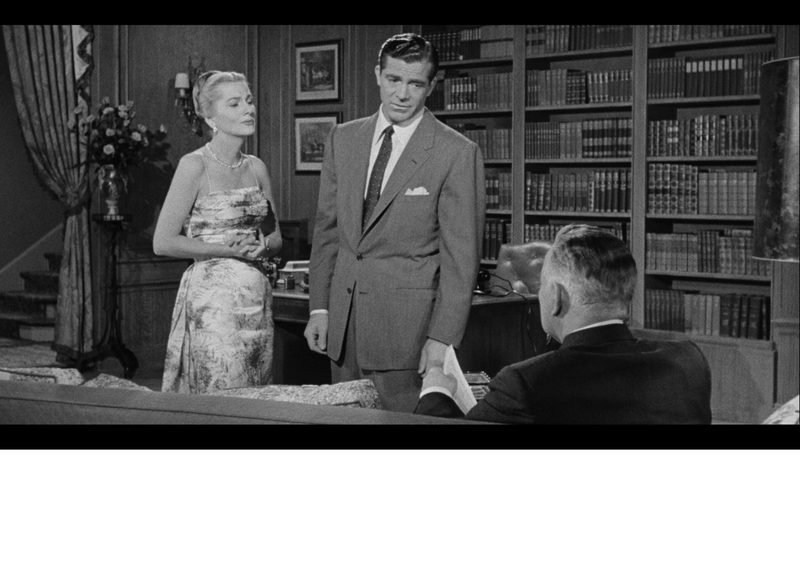 The movie stars Dana Andrews and Joan Fontaine. Andrews takes the lead role as Tom Garrett, a novelist that feels as though injustices are too common in murder trials and he wants to prove the flaws in the system. This includes an elaborate plot to frame himself for a murder. He thinks that bias and misinformation cause wrongful imprisonment. Before the days of advanced criminal science, your innocence relied predominantly on witness testimony. Tom believes that a man can be put to death in some cases due to a simple misunderstanding. When a local woman is murdered, Tom takes the opportunity to set himself up as a suspect, get arrested and prove his innocence to the system. He makes sure to get photographs of him placing the physical evidence he planted in various places like his car. He leaves them with his fiancé’s father for safe keeping. At this point, I already found this movie pretty interesting. There is a complicated plot that, while easy to understand, isn’t convoluted. 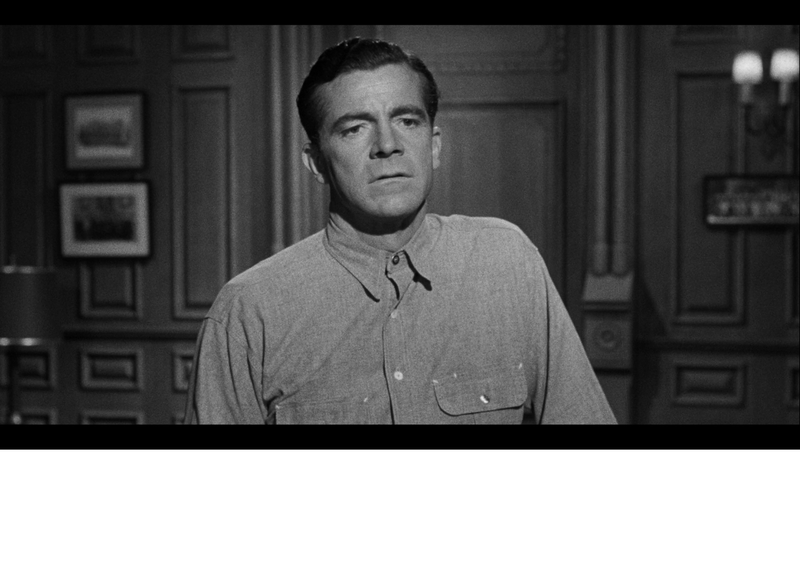 Dana Andrews carries out a wonderful performance as the journalist. With problems continuing in the judicial system today, it makes the movie relevant even now. Everything is going according to plan when a great twist comes when his future father-in-law… dies. That’s not the only twist before the end of the movie either. I didn’t expect the final moments in the movie and it was fun being surprised by the last scenes. It made the plot even thicker and did it in the final five minutes. 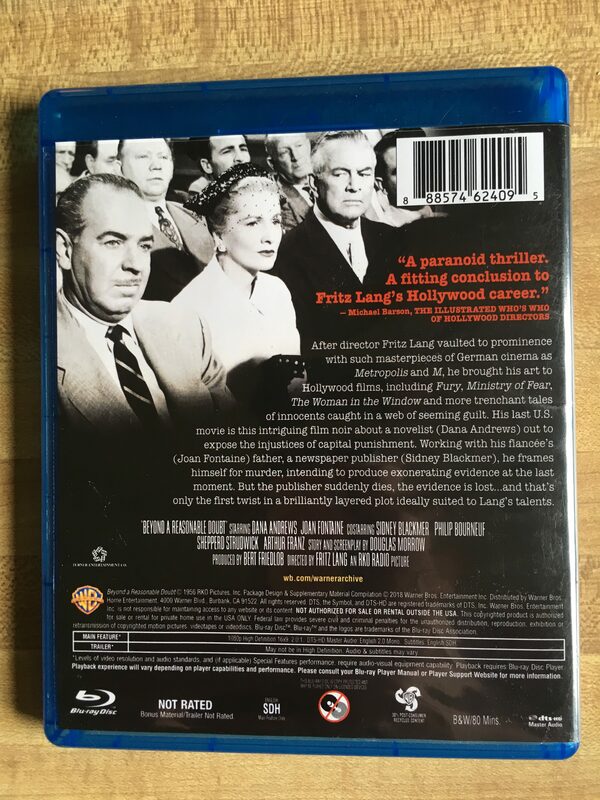 The Warner Archive presented this movie fairly well on Blu-ray. The image is pretty sharp considering the footage is almost 70 years old. It was free of scratches and dirt marks. 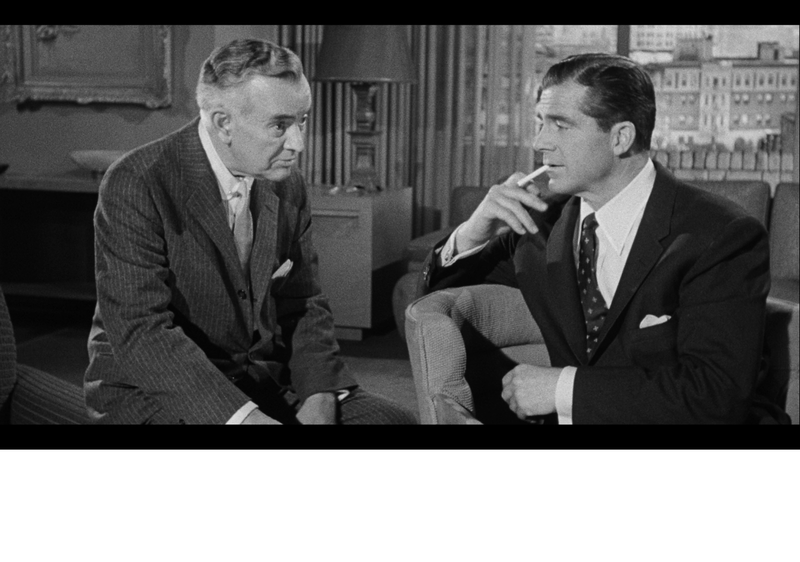 This was Lang’s last American movie before his retirement in 1960. 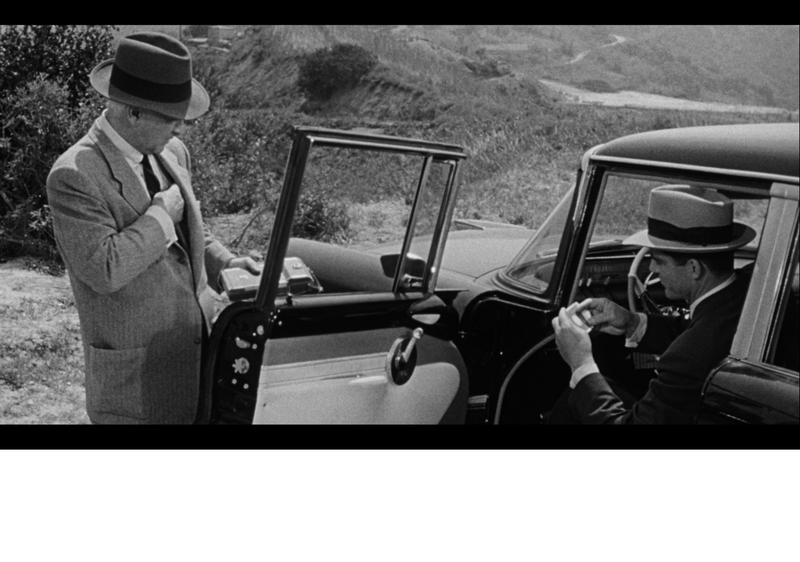 The movie is in black and white but they did really well with the shadows and lighting. 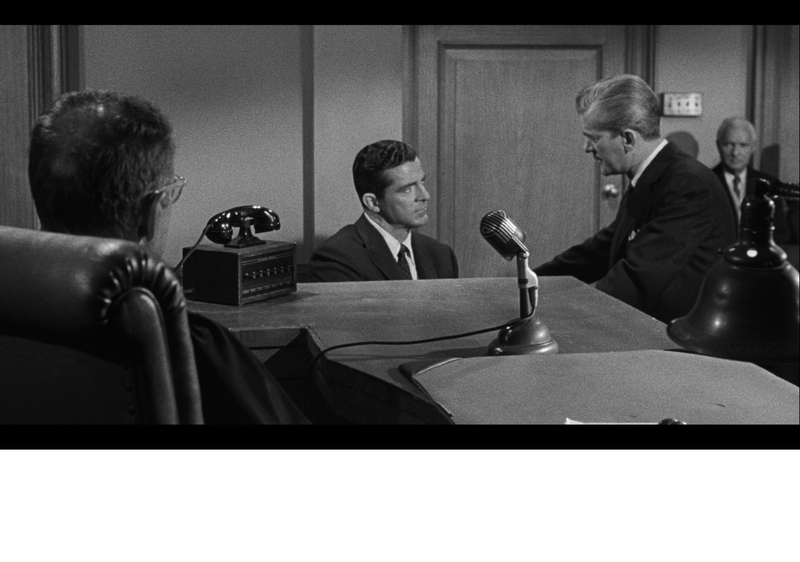 It looks like they shot the whole thing on the Warner Lot because even the courtroom and jail looked familiar from other movies at the time. I tried to find something worth noting about the cinematography, but couldn’t really come up with anything. The movie relies on plot and dialogue more than anything else. The movie actually sounded pretty crisp. The dialogue was clear and I didn’t notice any drops in audio levels or echoing in the mix. The score wasn’t too bad, but I found it a little lackluster overall. The movie was quiet and had mostly a somber tone, which worked for the movie but I didn’t find that aspect very impressive. Just a trailer. Nothing else. It’s possible no other documented footage exists. Not much here. It’s just a standard case and liner. Don’t expect anything else. I really enjoyed the movie but certain aspects left me wanting a little more out of the total experience. For any fan of old cinema, it’s definitely worth a watch. It’s quite a ride with all the twists and turns. I only lower my overall score due to the lack of extras as well as a few technical things not being super impressing. I’m glad that Warner is releasing these old movies on Blu-ray, people will still get a lot of enjoyment out of them. I’m also excited to watch and review my next Fritz Lang movie (stay tuned), one that also promises a lot of surprises. 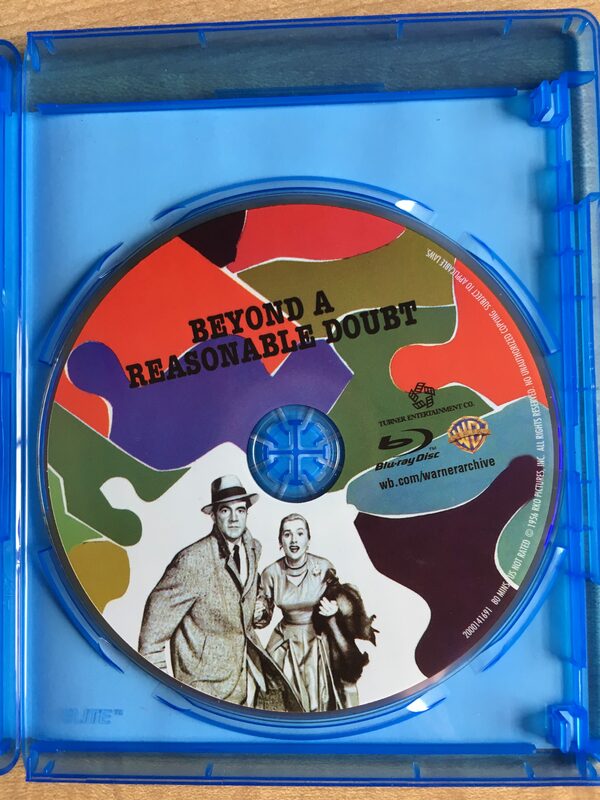 Beyond a Reasonable Doubt was my favorite classic in a while, so I suggest you add it to your collection. I wonder how many times this movie has been reviewed in the past 70 years. It reminds me that movies have been entertaining people for a long time. I’m not the first or last to write about it. Maybe when I’m an old man I’ll review the version you download into your brain. That’s it for now, make sure to come back soon. For now, I have more movies to watch and I want to tell you about those ones too.